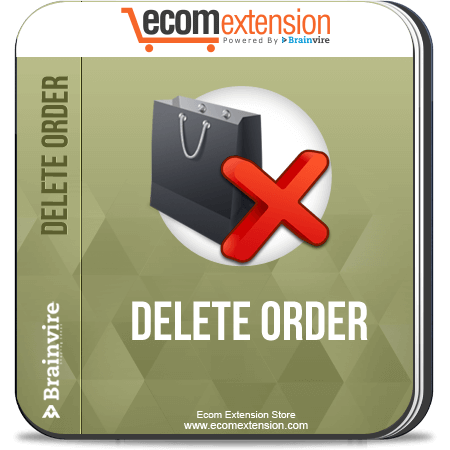 Delete Order Extension for Magento allows you to delete the order in the online store. This extension simplifies the way of deleting order via an Action drop-down box. By default, Magento does not allow you to delete orders it only allows you to cancel orders. The ability to delete orders is however is required to clean up the clutter and keep your store more organized. With Brainvire's Delete order extension, you can now delete orders from Magento backend. This extension seamlessly integrates into your current installation and adds an option to delete in the Action drop down box on the native Order Manager. Our Remove Orders Extension for Magento requires no manual configuration. If you want to delete only a few orders, our Delete Order Extension for Magento is the perfect solution for your business needs.